Hula Hooping Mom: Tomorrow - Safer Internet Day! Tomorrow - Safer Internet Day! 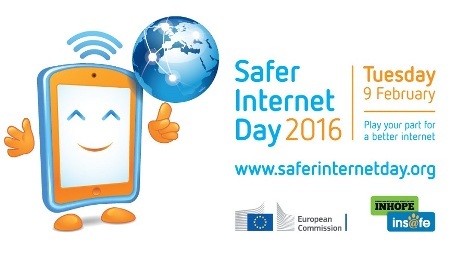 Tomorrow is Safer Internet Day! I have two pre-teens so can def relate when it comes to internet saftey. In fact when they first started going online and on their Ipods, I was always nervous about what they would see and where they would end up without me knowing. As a parent new to this, I was a bit confused on how to monitor them. Especially with them having Apple products, as I'm an Android and windows user, so really have no knowledge when it comes to Apple. So where can we turn as parents? TeenSafe, it's one of the most popular parenting smartphone monitoring service and as Safer Internet Day aims to provide education and awareness to Internet users of all ages, it is the perfect time for parents to have an in-depth discussion with their kids about Internet usage. Below, I've included a list of 5 Tips on Internet Safety, penned by TeenSafe CEO Rawdon Messenger. Be open and clear with your child about the importance of Internet safety. Communicate and discuss with your child the issues and the precautions they should take when using the Internet. Wherever possible, ask them what they think and know about the Internet - you will be surprised how much they already know. Wherever appropriate, set rules that you expect your child not to breach. Make sure to explain to them and confirm how you will be enforcing these rules (device monitoring and management). Also consider having a “Digital Citizenship” discussion about what can be considered good and bad online behavior. Conduct an audit of your child’s smartphone. It is important to know which apps are installed on your child’s phone and how he or she is using them. It is import to also check the privacy settings for each app as well as the device. If possible, do this together with your child. It is also important to understand which apps may expose your child to danger and why. TeenSafe has a great guide to some of the more troublesome apps. Every child is different and matures over time. Set a policy for where your child is developmentally and remember to update it over time as they become more responsible. Do not overly restrict your child as shutting off all social media access without thoughtful rules, may cause more harm than good. If you do discover in-appropriate or dangerous behavior, avoid knee jerk reactions. It helps to try to understand the causes and the issues that underlie the behavior and discuss them with your child. The best parenting practices are about discovering potential issues before they become problems and fixing them in an open and thoughtful way.